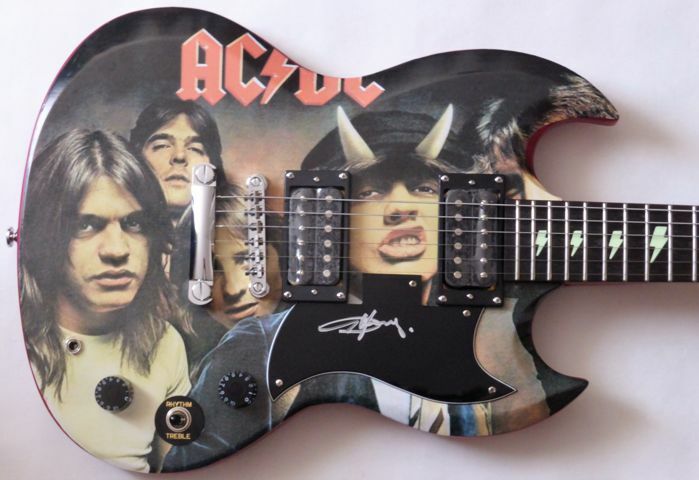 Epiphone - SG - AC/DC - Guitarra electrica - golpeador firmado por Angus Young. 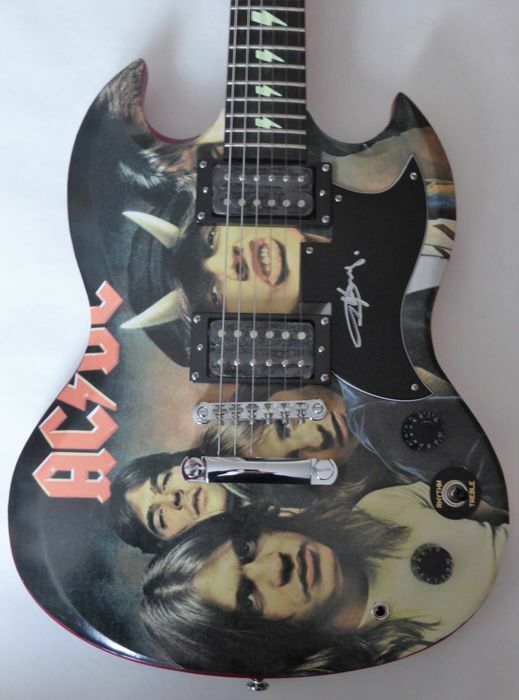 Guitarra electrica - golpeador firmado por Angus Young. Ultra Rare Real Full Size Electric guitar Epiphone SG Nicely Hand Signed in silver permanent marker by the legendary lead guitarist of AC/DC Angus Young!!!!! 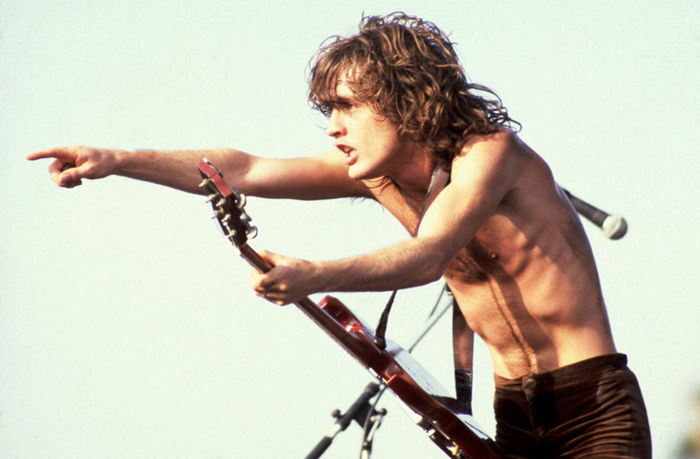 See photo proof of Angus young signing the pickguard! 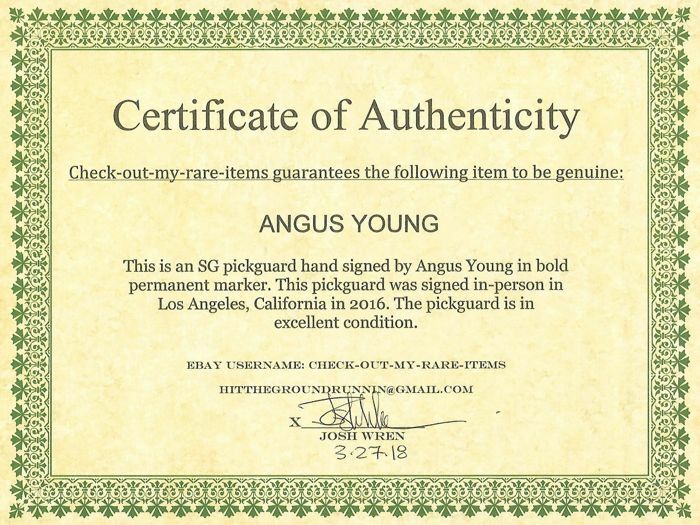 Autograph 100% authentic obtained in Los Angeles,California in 2016. Come with a COA Certificate of authenticity. 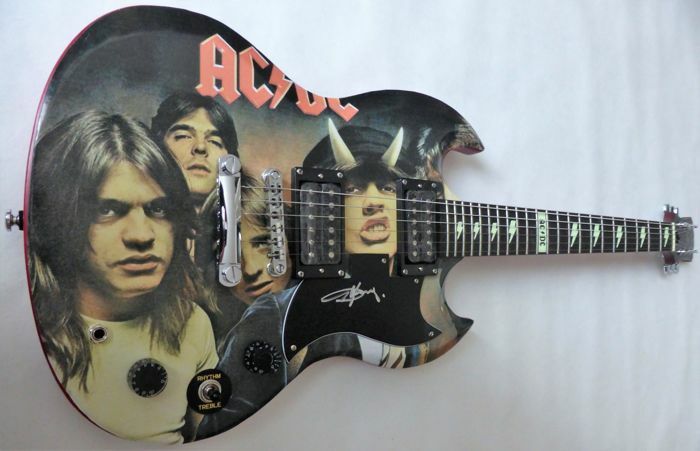 This guitar have a very nice Sticker featuring the "Highway to Hell" Album applied on the body,absolutely stunning guitar! 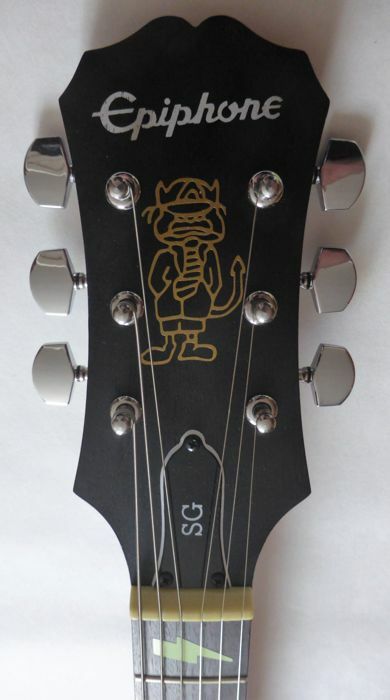 This Epiphone SG also have Special Lightning Guitar Frets Inlay Stickers Decals Luminous and a Angus young Devil decal on the neck see photos! (Luminous effect after place under a light for 15-30 minutes). Get a piece of music history! Great item for any AC/DC fan! 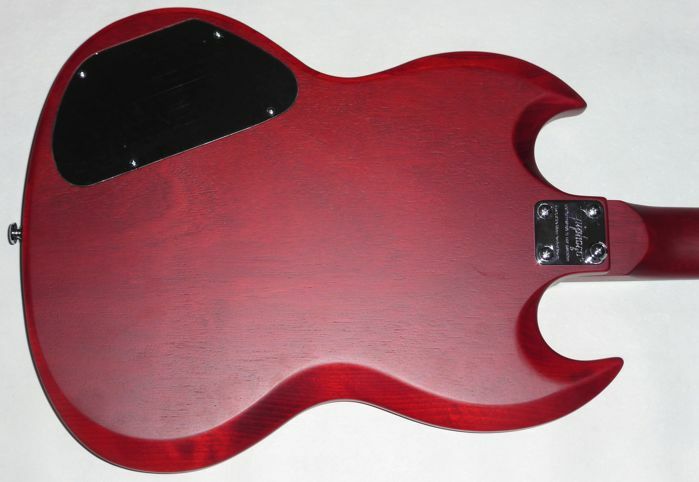 This Epiphone SG guitar is in excellent condition! 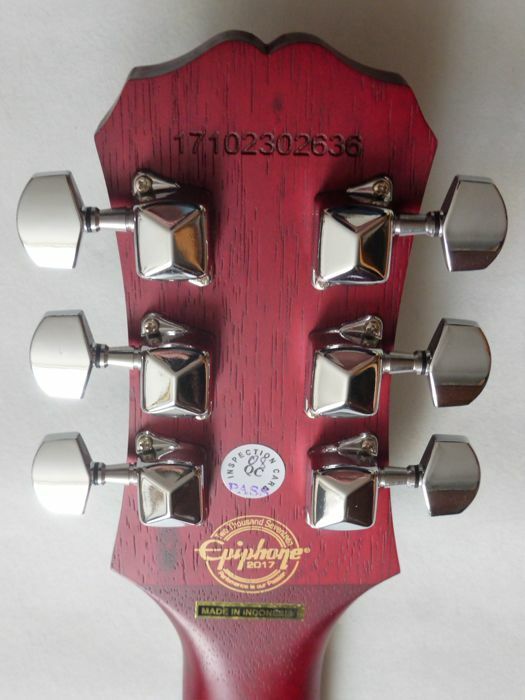 Epiphone SG Serial model n°17102302636. 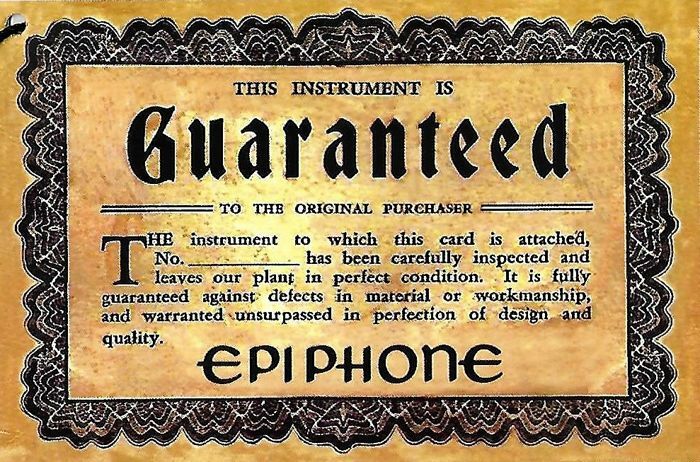 Come with a Epiphone card guarantee with the guitar. I will ship securely packed in Parcel Post Registered and insured. Great item. Friendly and honest seller. I recommend this seller!! !